Marvel HeroClix: X-Men Xavier’s School has over 70 new figures and 25 ID cards to collect! Xavier’s School for Gifted Youngsters is a special school led by Professor Charles Xavier where young mutants can grow, learn, and control their uncanny powers. 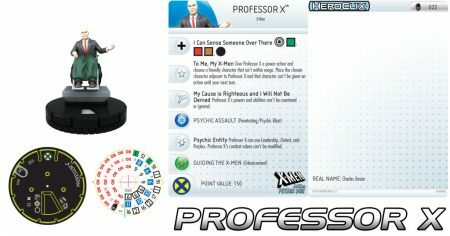 See the results of their training on the tabletop with Marvel HeroClix: X-Men Xavier’s School from WizKids!